UH Board of Regents policies are published on its website. These policies are implemented through administrative policies and procedures and delegations of authority published and promulgated by means of the UH System-wide Executive Policies and the UH System-wide Administrative Procedures, available on the website of the UH System vice president for administration . The UH Administrative Rules are also available at the same website. University Governance: Roles and responsibilities of campus executives and organizations. Administrative Affairs: This division of UH Hilo, which comprises Human Resources, EEO/AA, the Budget Office, Facilities, Environmental Health and Safety, Campus Security, Auxiliary Services, and the Business Office, relies heavily on policies promulgated at the UH System level. These policies can be found on the website of the UH System vice president for administration . 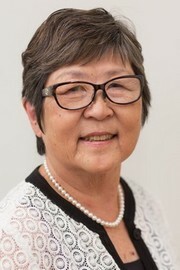 In addition, a number of campus-level policies are available through the website of UH Hilo's vice chancellor for administrative affairs. The UH Office of Research Services (ORS), a part of the University of Hawaiʻi System Office, provides links to policies in effect at the UH system level as well as federal research policies. The UH Hilo Office of Research provides UH Hilo grant seekers with broad guidelines and procedures for intramural and extramural grant funding.